YML’s robotics teams are fun, creative, and coached by seasoned robotics coaches! 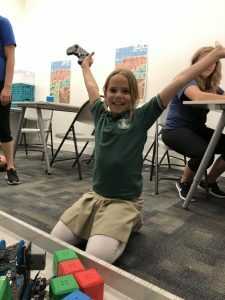 We want kids to not only have fun building, tinkering with, and exploring robotics, but also to understand and appreciate the power of coding when it comes to robotics. We boast teams for kids from grade 2 through grade 8. Teams are organized by grade level. Be sure to check out the links below for details and team sign up instructions.